Lately, we've seen a growing trend from modern and ambitious leaders who make a conscious effort to involve their staff by various means. One of the more popular methods involves talking individually to as many coworkers as possible. To do this in an effective manner, some have adapted techniques traditionally known from a more romantic context -- speed dating. Nothing wrong with this. 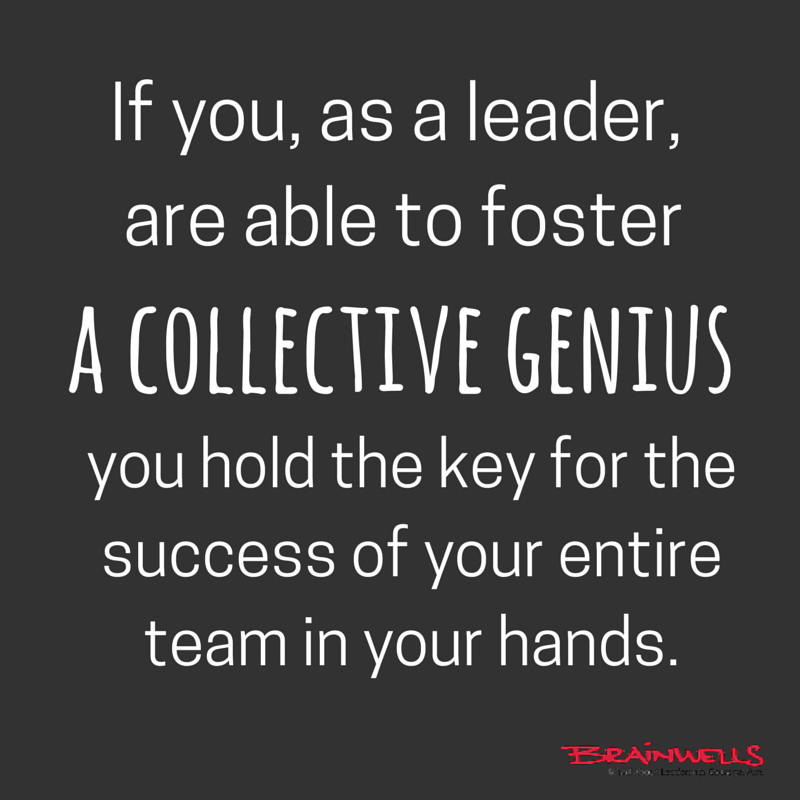 In fact, we highly applaud new methods and techniques that make leadership more involving, effective and rewarding. Taking a new and different approach is exactly what we focus on ourselves when working with leaders and their teams. We are especially fond of collaborative methods and processes that can be repeated, are scalable in nature, and get popular (and used) throughout the entire organization. First, don't just rush through the speed dating method to get to as many people as possible, gather information, and then use the intelligence to make your decisions. Yes, it is an effective method. But if gathering information in order to make a decision is your primary concern, there are other and even more effective ways to help you. Instead, use the conversations gained from speed dating to get to know people. Ask them what they care about; what exactly brings passion to their life at work, things like that. And share with them what you are passionate about, and what your ambitions are. Dare to show them that you too are vulnerable. By doing this, you get a chance to build trust. And trust, my friend, will be a real asset for you further down the road. 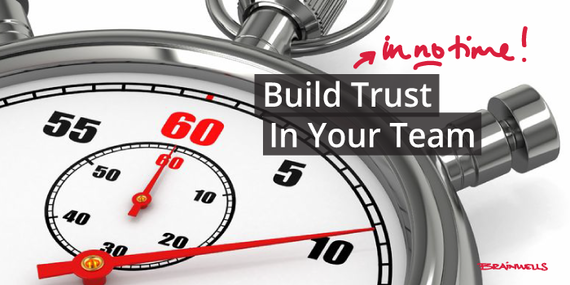 Building trust in your team opens up for a tremendous possibility to create an emotionally strong organization. But you need to know what you are doing. And you must do it with authenticity. So, for the information gathering part, we suggest that you spend time with people on your team as a group instead as individuals. Show that you are willing and capable to involve all of them, not only in words, but also in action. Invite people to share their thoughts and input as a group. Let them work together on relevant, creative tasks. 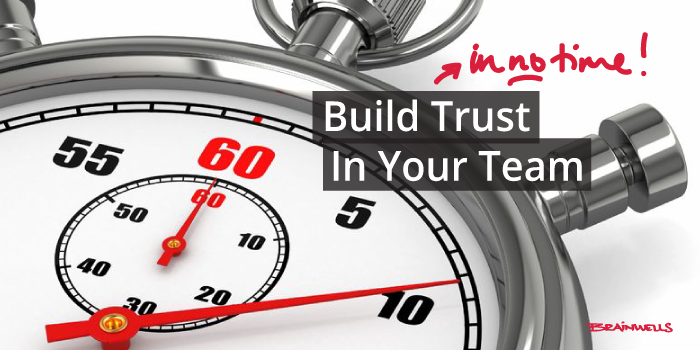 This will give you a grasp on the level of their collaborative strengths and get to know how your team works together. If facilitated correctly, the group will produce better input for you to bring into the decision making process. Even in organizations where the work is mostly done on an individual level, we see impressive results when people are allowed to be engaged and focused around common challenges or opportunities. It strengthens the culture and enhances the collective intelligence of the team. 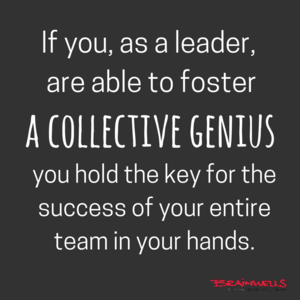 If you, as a leader, are able to foster a collective genius you hold the key for the success of your entire team in your hands. We have a common passion for making the corporate world a better place, and do this by training executives and executive teams in how to become Involving Leaders. Daily we experience magic moments when people exceed their own expectations due to new insights and skills. With love and care we'll share this magic with you. Thank you for being here.